I got this idea the other day when I was having a game day at the school I teach at with a group of students. A large part of the group were playing Citadels while the others were playing Samurai. Another student walked into the library to see what everyone was doing. Now, this particular student is one that can tend to rub other students the wrong way. I'm not saying he is a bad kid or anything, he just doesn't often tend to think that what he might be about to say could be construed as condescending. Anyways, in this particular case he came in, looked around and something like, "Pssh, I play Monopoly and Risk. They are good games." As always, if you have some suggestions of your own, please add them on! We will start with this giant of the board game humdrum. They actually have a few similarities, though Power Grid does them better. 1. In Monopoly players buy real estate that comes in the form of little cards. In Power Grid, players buy power plants that also come in the form of little cards. Furthermore, if someone "lands on Boardwalk" in Power Grid, you have the chance to outbid them for it. 2. In Monopoly players build little houses and hotels. In Power Grid players hook up cities with little houses. 3. In both games you have to manage your paper money. There are probably more connections that can be made, but I will stop there. Might as well go with the second game in the student's quote. Now with this one, I understand that there might be more Risk fans out there as opposed to the other games on this list--I do not wish to offed. But, we have to admit there are better war games out there. 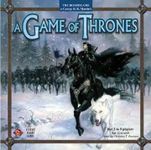 Game of Thrones is still a fight for territory, but with a lot of features that I feel are better. 1. No dice to resolve combat. 2. Orders are issued and all movement is simultaneous. 3. Holder of the Iron Throne decides ties. 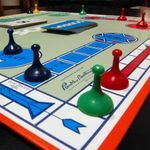 Now I have heard it argued that a particular house normally wins at this game, so that might be a detraction. I personally can't win either game, so there is no difference for me. Ok this one is proving to be the toughest for me. Whats a good alternative in the "word genre?" and Showmanager's page recommends Hollywood Blockbuster! Other than that...I don't know...Typo, maybe? Now I will search for an alternative for this deduction game. To begin with, from what I've seen here on BGG this game is either loved or hated. But I figured if one isn't a big fan of this one, then they aren't going to be big fans of other deduction games. So, I'm sticking with it! 1. Players aren't limited to person, place, weapon. They can ask just about any question that they can think of, just as long as it doesn't require to be answered with a suspects name. 2. Furthermore, when asked a question, one does not have to answer. Instead they can take a vow of silence--oooh, suspicious. 3. Scriptorium and Bibliotheca cards that can shake things up a bit. 4. Revelations can be made and the person who solves the murder doesn't necessarily win the game. Perhaps one of the more recognizable dexterity games....?? One big similarity--the idea of taking from below to build above. Oh, and there is the whole trying to topple the tower aspect. 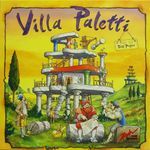 But Villa Paletti does it better. 1. Players can only take certain "supports" from below to replace on top, whereas in Jenga one can take any piece they desire. 2. Because players are trying to better their position as opposed to the position on the whole, the tower takes some real weird shapes and it is often difficult to see the center of gravity. 3. Lots of colors as opposed to just wood. Might as well add a card game and what better one than Uno? Another one that is kind of hit and miss among boardgamegeekers, but I think it is an effective card game to turn mass-market gamers into flgs-gamers. Not many similarities between the two games, other than the cards, but Bohnanaza is nice in that all players are active at all times. Other possibilities; Maybe Coloretto, Aquarius, or Fluxx?? Ok, so I have never actually met anyone with a Sorry addiction. However, it seems to fit with Clue, Monopoly and all the others mentioned here. 1. Movement is determined by cards. RoboRally allows a player to program their "pawn" with multiple cards though. 2. 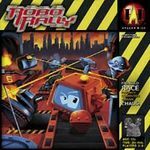 Both have the little screw your opponent aspect to them, but instead of bumping someone back to start, you get to shoot them with a lazer in RoboRally! This still has the color matching/advancement as Candyland, but also adds in a dexterity game. 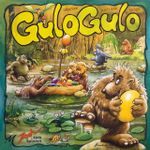 A dexterity game that gives the edge to the children over the adults.... Gulo Gulo also gives children the opportunity to make decisions about where they want to move, whereas Candyland is strictly dictated by the cards. 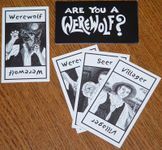 ... a given flavour of Werewolf. 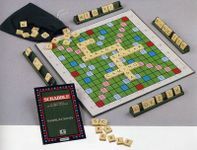 There is more strategy and thinking involved, while the game is equally social and communicative. The mother of all trading card games. You know you're addicted when you compare your spending habits to that of a heavy smoker. The mechanic I enjoyed most from Magic was that the rules were on the cards. 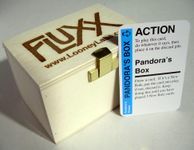 That's what Fluxx is all about, so I enjoyed the same sort of game, without the same effect on my bank account.